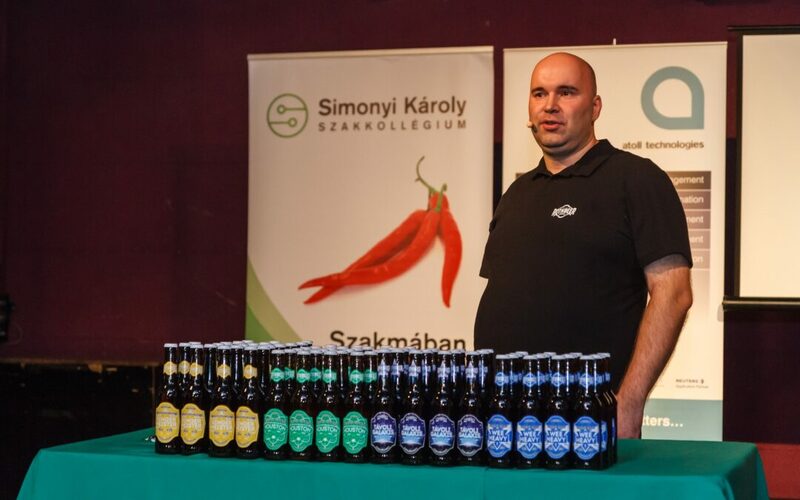 Our colleagues brew the best beer in town, through which we boosted the Professional Days programme of the Simonyi Károly College for Advanced Studies. On November 6-7, besides have deep technical discussions, our Távoli Galaxis beer was on tap at the event. This think-tank event is getting more and more popular. This year, it covered issues such as the future of crypto currencies, blockchain technologies and quantum communication. “To the roundtable discussions about these hard and hefty topics, Rothbeer’s intergalactic craft beer was just the perfect supplement. It is a great pleasure for our community to see more and more IT companies following the event. This year it was even more fun by having the software firm Atoll and its beer factory Rothbeer as our sponsor.” – summed up Dávid Kiss, the president of Simonyi Károly College for Advanced Studies. Know more about the event and see the gallery on Simonyi’s Facebook page.